Today the 32 County Councillors in Clare voted unanimously in favour for the proposed pier at Doolin. 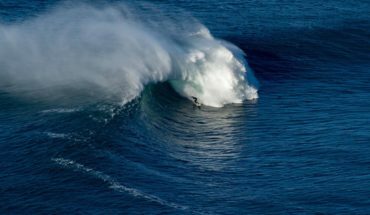 The new pier will have a serious negative impact on surfing waves nearby including the famous Crab Island and Doolin Point waves. In addition surfers will be put in great danger; their current access to Crab Island will now be replaced by the pier and they will be forced to paddle from inside the new pier. This will create great risks with crossing ferries and the increase in currents which will make paddling extremely difficult. The photo below gives an example of what we (West Coast Surf Club) have been fighting to save. 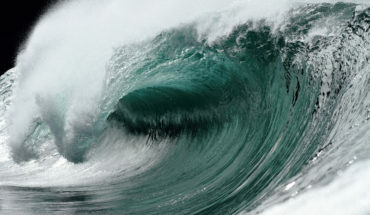 The wave modelling that accompanied the application confirmed that there would be an impact on the existing wave environment if the pier is built as proposed. Failite Ireland supported the surfers concerns in a submission to Clare Co. Co. and requested that the current design not be approved. The 32 councillors of Clare County Council went against all the warnings and decided to grant permission for an extremely large pier. 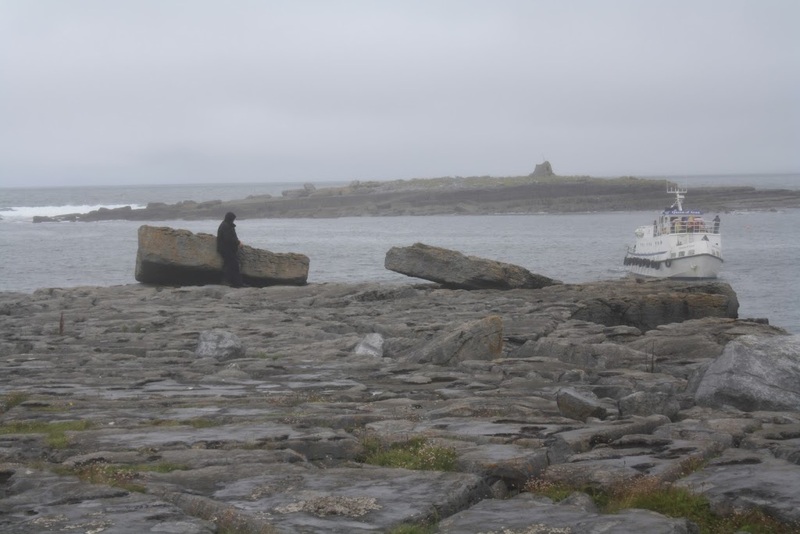 The arguement for the new pier is to facilitate larger and more frequent ferries to the Aran Islands. The main reason the development has been pushed through at such speed, without full regard given to all concerned, is the €6 million in funding made available by the EU for the development however the time limit for drawing down this money is fast approaching. Again we see that money outweights proper planning and we are now faced with an extremely large pier that will significantly impact on surfing waves, surfers safety and on the visual amenities of the area. What is deeply frustrating is the content of the Planners Report that was prepared by Clare Co. Co. and given to the Councillors for deliberation was very one sided. The report did not illustrate the full concern of surfers and did not confirm that the proposed development will have a serious negative impact on the surfing environment of the area. During the celtic tiger boom years many developments were rushed through for funding and money reasons, it appears that lessons have not been learned. The results of these planning decisions are plain to see right across the country. It is time for Ireland’s officials to focus less on the money implications of development and more on the impact on the natural environment, the safety of leisure activities and the ability of the receiving environment to accommodate development without having serious repercussions. Personally, as a Planning Consultant, a surfer and member of the West Coast Surf Club and a member of the WCSC group that has been deeply involved in this case I am very disappointed with this decision. A great deal of work was put into the West Coast Surf Club and ISA submission but it seems that the issues raised were ignored and brushed over. If this development is built as now proposed it would be a catastrophe. Clare Co. Co. have said that construction work could begin within 4 to 6 months. We (WCSC) are assessing our options and will take whatever avenue we can to have this decision reversed. There is still some light at the end of the tunnel and we’re hopeful that an alternative route can be taken to have the development re-assessed. 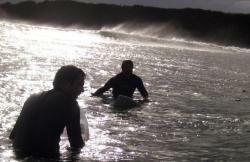 Ceol agus Craic Agus Surfing! Doolin people have always welcomed surfers to its shores and have facilitated them in passing private lands to access surf waves. There are more than surfers using Doolin pier. Finally, after many years wait, 20 years plus, there are funds available to build another pier for use by commercial craft. Let the work begin and let the local earn a living. what are ye on about. driven by business people in lahinch. 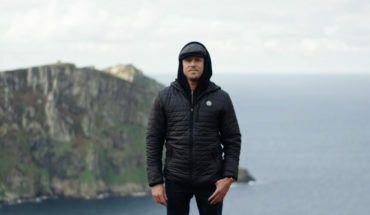 it is driven by surfers who know the importance of saving this place.im not a business owner in lahinch and have being surfing there before it became famous . and grew up around there . 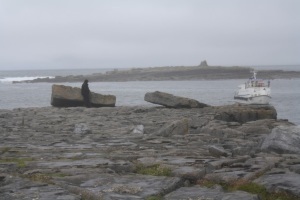 there is no need for a new pier which IS DRIVEN BY GREED BY A FEW DOOLIN BUSINESS. 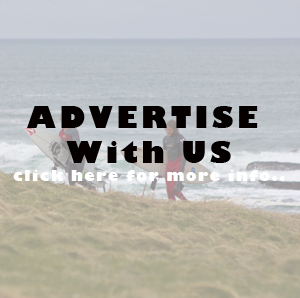 Ah cop on now.<br />There are about 3 or 4 surf shops in lahinch.<br />I can assure you there are alot more than those proprieters surfing at Crab and Doolin when the waves are breaking.<br />The only people driven by greed here are Doolin2Arranferries.<br /><br />Do you think former world champ mick Fanning has a few quid invested in a Lahinch surf shop?? <br />He objected too.